wrong. 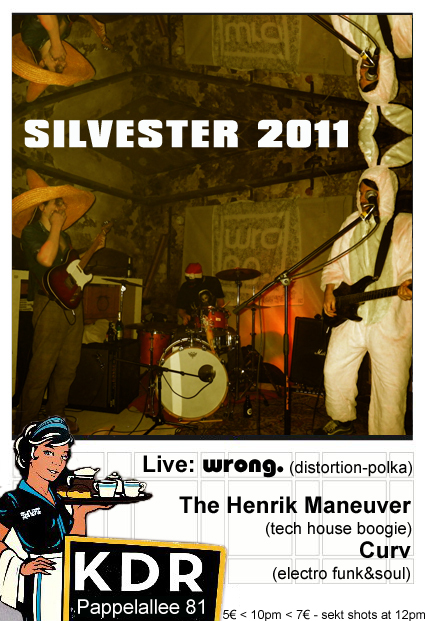 silvester 2011 | Wrong. Distortion-Polka music to romp-n-stomp. Dress up funny and jump around. Techouse, Groovy-Electro-Pop, some 80’s with a better beat! We know you are wild…prove it.